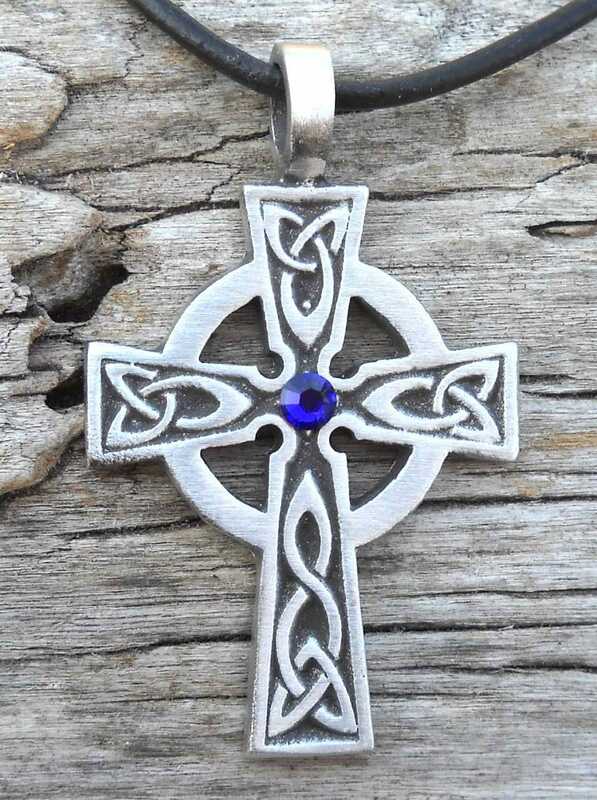 This unique Celtic Cross with Triquetra Knots is handcast and hand-finished in solid American Pewter and adorned with Genuine Swarovski Crystal. 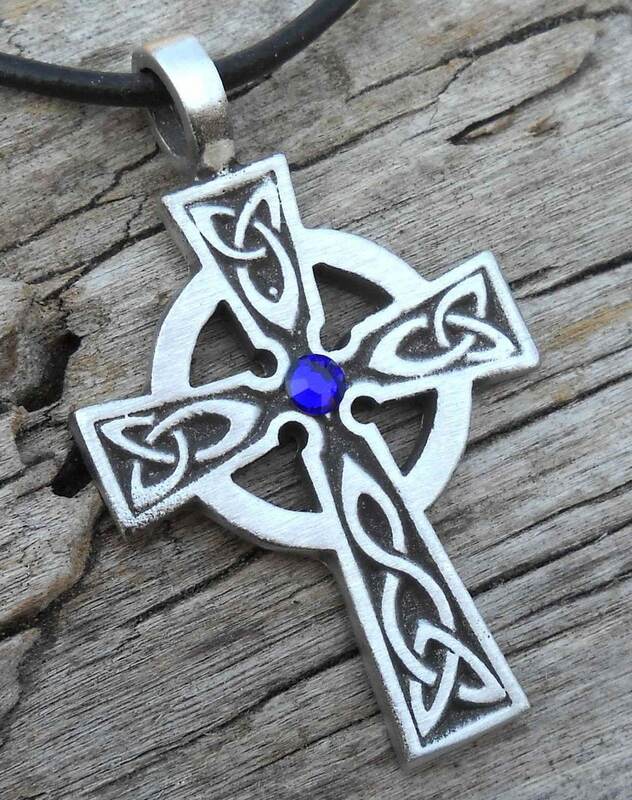 Sapphire Blue is the crystal birthstone for September and the Zodiac signs Virgo and Libra when they fall within the month. 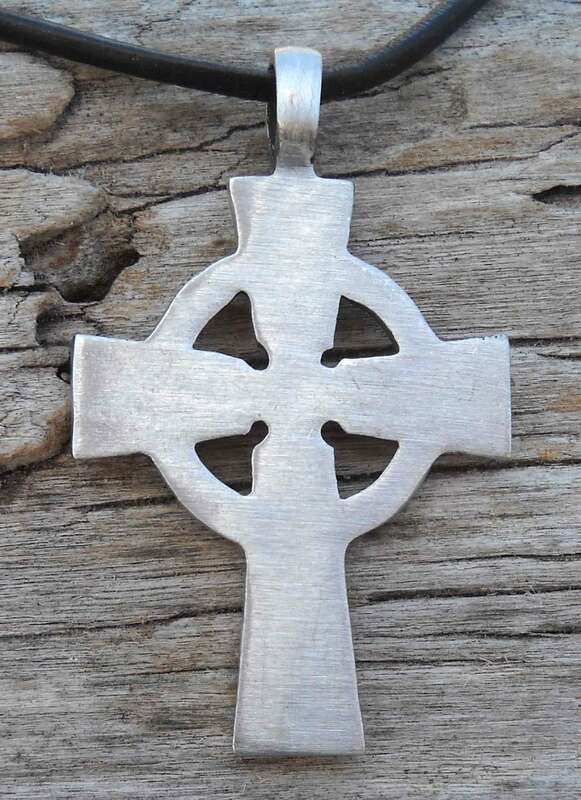 The Celtic Cross is on an 18" leather cord with a lobster clasp and 2" extension chain, or you can request one of our additional necklace options.